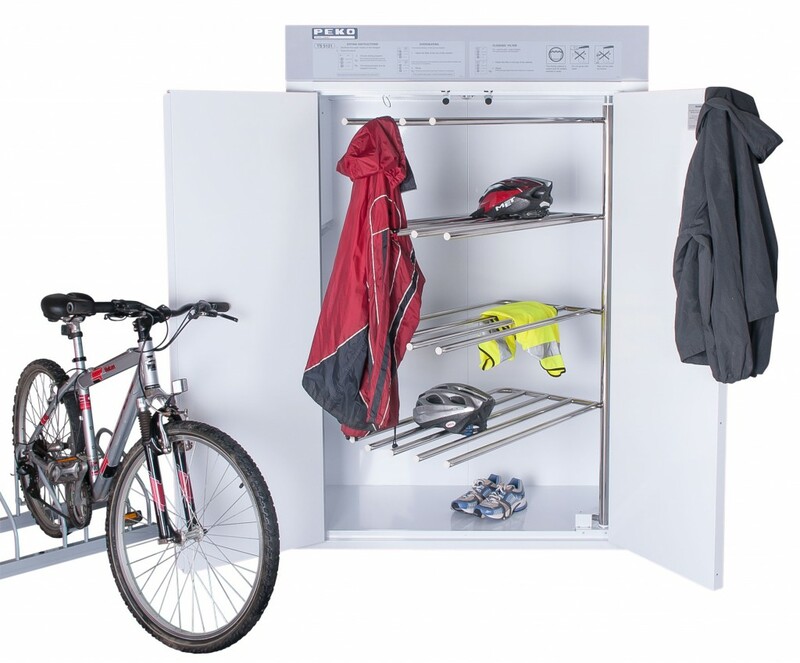 Peko Drying Cabinets – a perfect solution for offices that need to dry wet clothing and cycling gear fast and economically. The Government’s Cycle to Work Scheme encourages employers to promote healthier lifestyles for their employees, whilst reducing environmental pollution. No matter how big or small the business, employers from all sectors can loan out cycles and relevant safety equipment as an entirely tax-free benefit. Regular cycling has been shown to improve health and promote psychological well-being, with benefits such as weight loss and a reduction in stress. With thousands of people already taking part, it is the fastest growing and healthiest employee benefit in the UK. Employees arriving to work in damp or wet clothes might need a way of drying these items in time to cycle home again. Here, at G&E Automatic Equipment, we can recommend two models to assist with this. The TS-5121 is an electrically heated drying cabinet offering two temperature settings to suit a range of textiles, including outdoor clothing, workwear, and all cyclewear (Nylon, Lycra® etc.). With a large load capacity and a drying time of 45 – 60 minutes, this drying cabinet is fast and efficient. The ETS-1900TR is more compact but still maintains a sizeable capacity thanks to it’s versatile hanging rail system (capacity approx. 6-7 sets of trousers, tops and towels). With their user friendly controls and robust designs, both PEKO drying cabinets are an ideal accompaniment to the Cycle to Work Scheme.